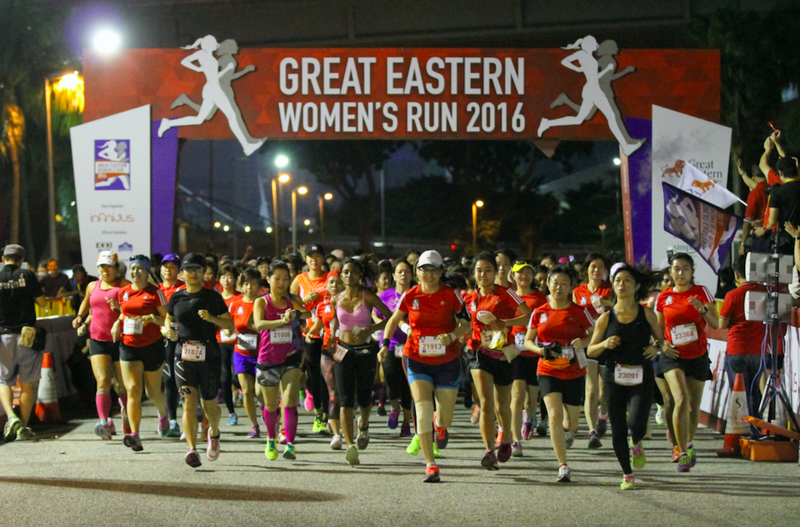 Look Forward To Many Firsts At The Great Eastern Women's Run 2017 | JustRunLah! 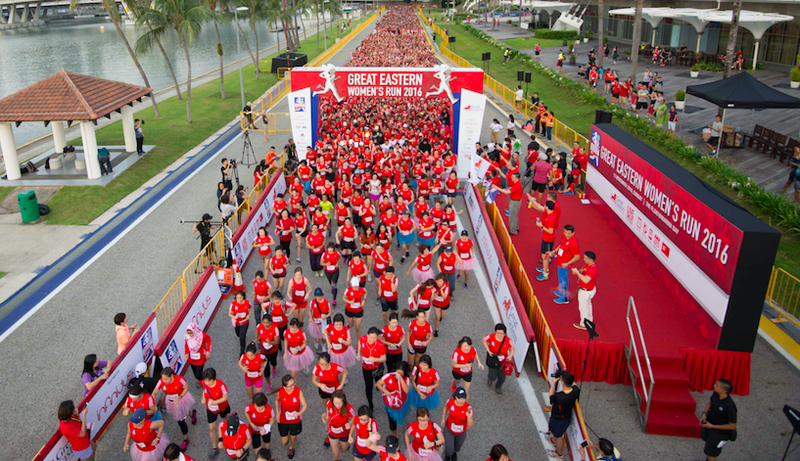 Great Eastern stays true to being a LIFE company – helping women live well, stay healthy and feel empowered. Being committed to this cause, Great Eastern’s signature event is back – Great Eastern Women’s Run 2017 on 12th November 2017 at The Float, Marina Bay! Whether you are a daughter, a wife, a mother or a sister, grab as many friends and family as you can to join in the movement for female empowerment! Inspire your wife, your girlfriend or even your grandmother to run in the 5km, 10km or 21km race distances and make a healthy lifestyle their way of life. Runners can look forward to a number of new firsts this year, one of which is the new 2km Mummy + Me Category. This is for mummies to run with their daughters aged 7 – 12 years, and is an opportunity for them to have fun together and teach their young girls the importance of an active lifestyle. Girls 3 – 6 years of age can join the 100m Princess Dash, which is returning this year by popular demand, and receive a tiara upon completion of their race distance. Who Thought Running 5km Could Be So Fun? The 5km Live Great! Fun Run category will see the introduction of a slew of exciting new elements and instagram-worthy moments.This includes photo walls for photo opportunities, a colourful ball pit to wade through, and the opportunity to win a diamond. This year, local jeweller Ivy Masterpiece will be coming on board as a partner of the Run, and three lucky participants will stand a chance to run home with a diamond solitaire. Approximately 1.5km into the run, participants will run through a zone featuring diamond photo walls and each participant will receive a serialised diamond wristband cut-out. Post-race, a lucky draw will be held at the race village where one 1-carat diamond solitaire and two 0.3-carat diamond solitaires can be won! Dazzling experiences aren’t limited to the participants of the 5km. 21km finishers will receive newly designed rose-gold plated medal to commemorate their achievements. The 10km, 5km and 2km Mummy + Me race distances will receive an exclusive new gold-plated medal. When you commit to a healthy lifestyle, you’re in it for the long run. It’s not just about race day, but also the also time, effort and determination you put in before race day to train. 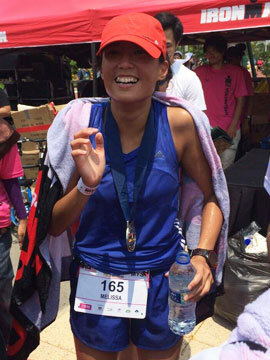 Imagine the satisfaction when all your hard work pays off and you cross the Finish line! This year, GEWR has launched a mobile app to track the klicks you clock in training for the run. The app has monthly challenges for participants to take on, and aims to encourage participants to go the extra mile for charity and receive attractive rewards. People just entering the workforce often have trouble making time for exercise, so it helps to have these healthy habits in place beforehand! This is why GEWR is reaching out to tertiary students to promote the importance of health through running. Tertiary students will enjoy exclusive discounts and to make it more interesting, the school with the largest collegiate of female participants will be receiving some exciting prizes! The GEWR is committed to the causes of the Breast Cancer Foundation and Women’s Health Research and Education Fund. Wear a tutu, buy a bib or customise your race tee and do a good deed for charity! The popular Don A Tutu For A Cause initiative is back this year for runners to display their support for charitable causes with a minimum donation of $5, where they will be provided with a tutu to don and show off on raceday. Psst, we’ve got something great to share! 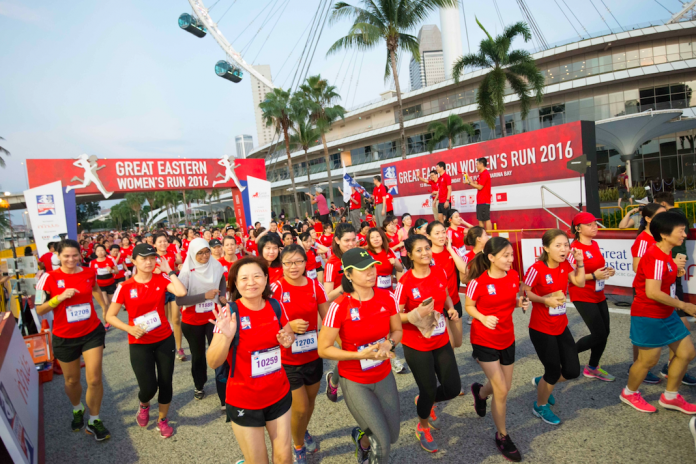 All OCBC Great Eastern Cashflo Credit Card holders will enjoy an additional 10% off registration fees for all categories when they register online. Don’t miss out on these moments to Live Great. This year, the GEWR committee is really pulling out all the stops to make this a memorable day, so sign up and join the fun!